What can Vitamin C do for your Skin? Hey Face……. it’s me, WINTER! 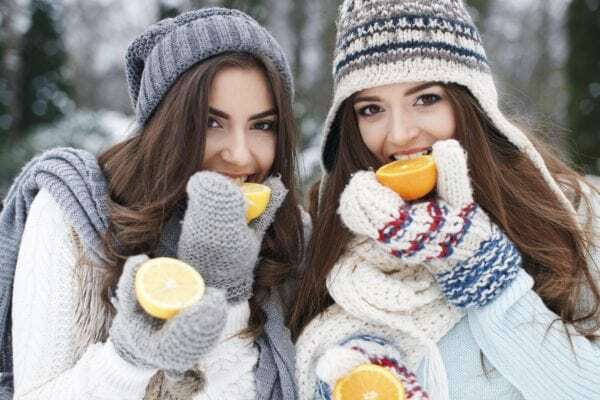 Brrrrrr…..During the chilly days of winter, we often take Vitamin C to boost our body’s immunity to fight off illness, stay healthy and provide protection during the cold season. It is also handy to know how applying vitamin C topically during this time can protect and improve our skin. No one wants to arrive in summer with dull skin. Vitamin C applied in the morning daily protects our skin from the harsh winter environment. It is a powerful antioxidant. We want anti-oxidants because they stop the breakdown of our collagen from external particles (free radicals). These free radical particles are the ones that accelerate ageing. They are responsible for dull, dehydrated, sun damaged, and pigmented skin. Vitamin C will gives you a clearer complexion. It will reduce redness and protect your skin against developing further broken capillaries. Brown and red skin colours makes us look unhealthy and older, so by evening the colour, we take on a more youthful and healthy appearance. 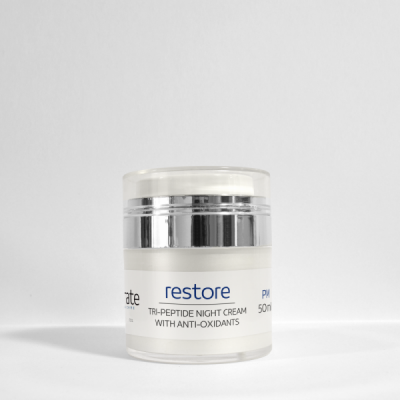 This ties in with Vitamin C’s effect on pigmentation (sun damage). Existing pigmentation will lighten AND future pigment will be stopped in its tracks because Vitamin C is a pigment inhibitor. Vitamin C is a strong stimulator of collagen. 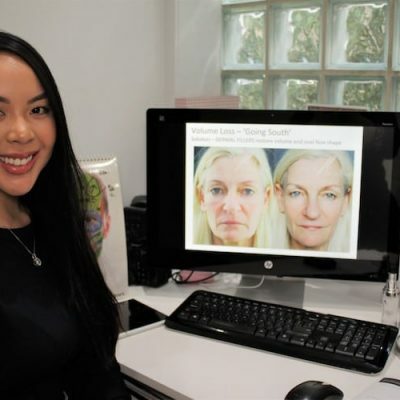 I don’t know if I need to explain too much here… Do you want more collagen in your skin? YES! 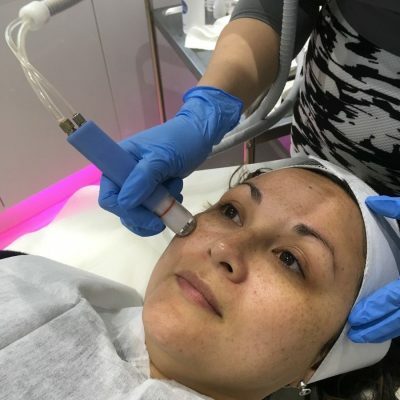 Good, well Vitamin C will stimulate fibroblasts that produce collage and this is turn will work on fine lines and wrinkles. There are so many vitamin c products on the market. It’s very hard to know what one to buy and what one is going to be effective. So, to help you know where to start, there are a few rules that you must follow when choosing the right Vitamin C.
1. Make sure the product does not come into contact with air before its made it to your face! Because of Vitamin C’s antioxidizing nature, it must be stored in an airtight and light tight container. Remember, Vitamin C is an antioxidant, so when it comes into contact with the environment, it starts working! We don’t want it working in the bottle! We want it working on our face! An airless pump is the best form of container. Also, the kind of Vitamin C used makes a difference to how long it will last. Water soluble forms of Vitamin C (ascorbic Acid) are highly susceptible to oxidation very quickly. So finding an OIL soluble solution will mean that your product will remain effective for the time that you have it. 2. The type of Vitamin C makes a big difference. Ok… stay with me here…. It’s all about ABSORPTION. Ascorbic Acid (a common form of Vitamin C) has very limited penetration. Meaning that the C can’t get where it needs to go, to do what it needs to do. The next step is to make sure your Vitamin C will be absorbed by your skin and be delivered deeper to create the change and reap the benefits that C has to offer. The type of Vitamin C that we want is also a stable one (speaking molecularly here). Having a stable and oil soluble form of vitamin C gives us up to 50% better collagen synthesis than a water-soluble form, such as Ascorbic Acid. 3. The amount of the active vitamin C means you’ll see an improvement or you won’t. This ingredients amazing benefits are completely dose dependant. A sprinkle of Vitamin C won’t cut it. You need the correct amount in there so that there is enough to create change in the skin. If there is not enough Vitamin C in the product, you simply won’t get a result from it. The correct dose is different with each type of Vitamin C.
Hyaluronic Acid is our best friend any time of year but especially in winter. We are constantly changing temperature with inside heating and outside cold, this dehydrates our skin. Staying hydrated with water is important but we don’t always do it. Applying Hyaluronic Acid to our skin daily will keep the skin dewy and plump all winter long. 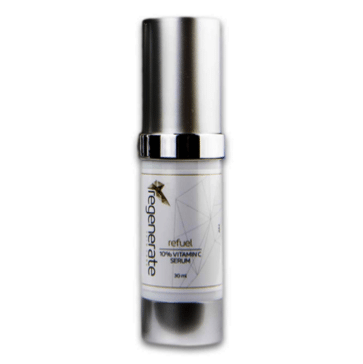 Our REFUEL 10% Vitamin C serum contains hyaluronic acid for boosted winter hydration. What do we mean by ‘nasty stuff’, well you do not want ingredients such as alcohol or parabens in your vitamin c serum. With all of these rules in mind, we have done the hard work for you and produced a Vitamin C serum that gives you everything you need to reap the benefits of this amazing protective and rejuvenating Vitamin. We use 10% Tetrahexyldecyl Ascorbate (BV-OSC), Studies indicate that 10% BV-OSC is sufficient to produce favourable change to the skin and limit any potential irritation or side effect. BV-OSC is also OIL soluble, which means it is not so acidic on the skin thus also reducing irritation.